1. 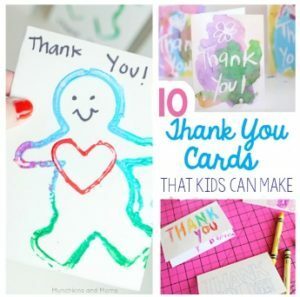 Thank you notes – No matter what happens to the trinkets they receive over the course of their careers, the sincere gratitude from a parent or child will give them that extra boost they need when the going gets rough. Whether it’s a simple card or a cute fill-in-the-blank poster that you frame, teachers need to know how much you appreciate their efforts. Click on the picture to the right for some cute ideas. 2. Gift cards – These are personal. A gift card to Target or Walmart can be spent on classroom supplies or a pair of new shoes, whatever your teacher chooses! Maybe Starbucks is their weakness. 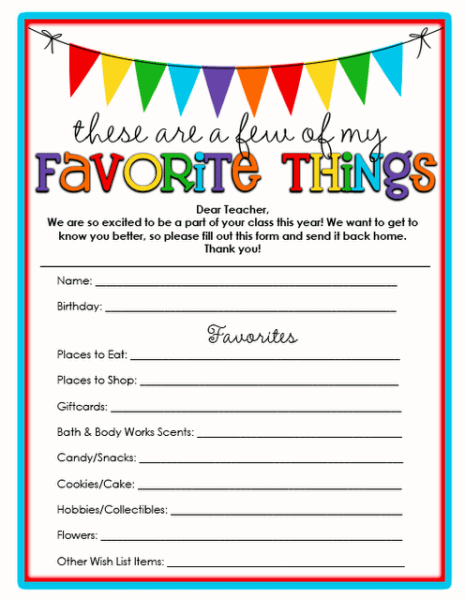 Find out what your teacher loves and give it to them. Some schools keep a notebook at the front office with lists on each teacher’s favorites. 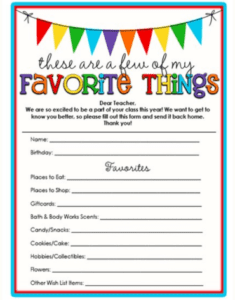 If your school doesn’t have one, help them make one using this free printable. Take a look and make it personal. 3. 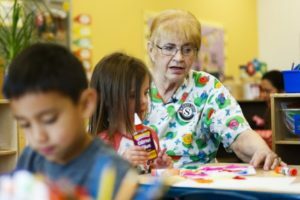 Volunteer – With so many responsibilities in and out of the classroom, take a load off your teacher. There are so many ways to help whether they’re in the classroom or at an assembly. You may be able to help arrange class presentations for career day or listen to a group of kids read. There are always papers to grade and bulletin boards to put up. 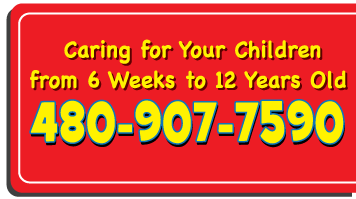 If not you, maybe your child’s grandparent would be interested in helping. Show your teacher how much you care by making things easier for them. With all the extra paperwork and responsibilities teachers have these days, make sure they know how much they are appreciated. Take the time to give them a gift from the heart during Teacher Appreciation Week. They’ll love it!